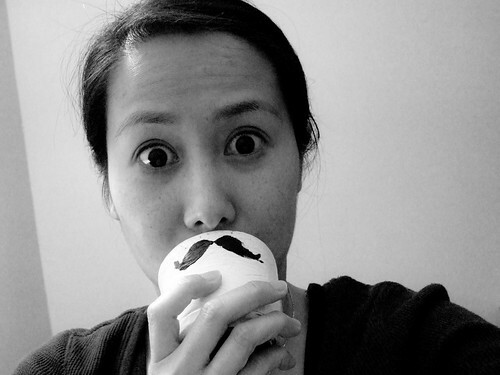 The Day I Grew A Mustache! In pottery class, I made a bunch of bowls. Really ugly bowls. 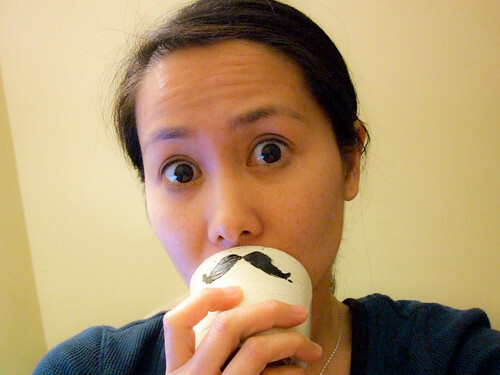 But I borrowed the idea of a mustache cup/mug from the internet and made myself a mustache cup! Behold! And here's a black and white one for an old timey effect. Oh noes, too much testosterone.